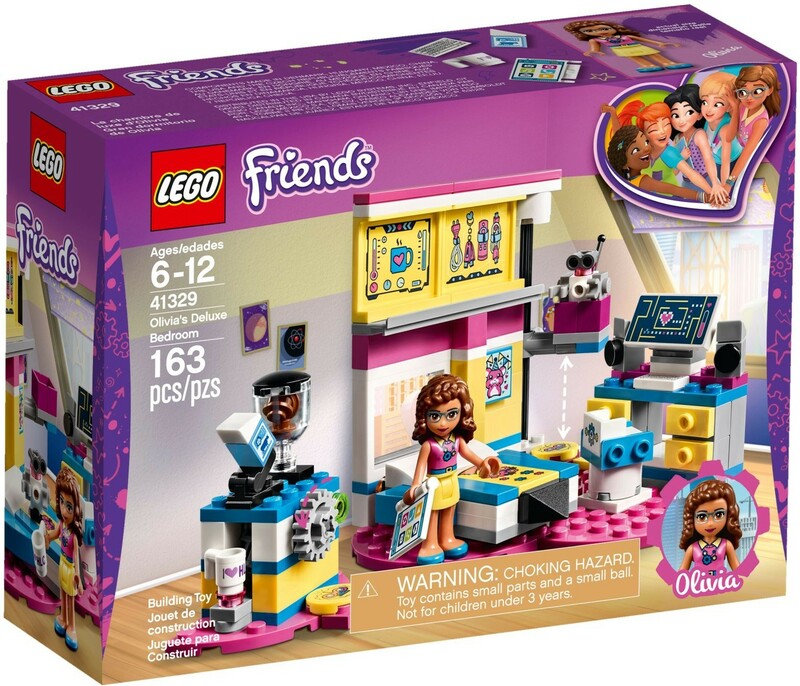 LEGO® Friends Olivia’s Deluxe Bedroom is set on a pink heart-shaped base and perfectly reflects Olivia’s scientific side. Her robot has a functioning elevator and track system to get to the top of the room, and there’s a separate breakfast area with a coffee machine that pops the mug out when the coffee is ‘ready'. You'll also find a desk with computer and drawers, swivel chair, rocket-shaped bed and a tablet. This fun toy includes a mini-doll figure and a buildable robot figure. Olivia’s bedroom measures over 3” (9cm) high, 3” (9cm) wide and 3” (9cm) deep. Breakfast area measures over 2” (6cm) high, 2” (6cm) wide and 1” (4cm) deep. 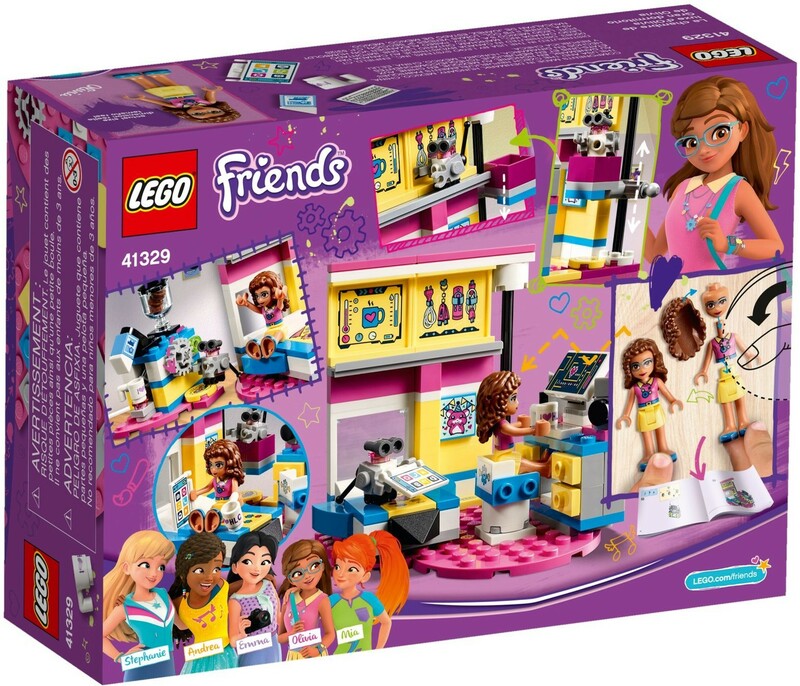 Combine with 41327 Mia's Bedroom and 41328 Stephanie's Bedroom to explore more LEGO® Friends bedrooms and collect all the heart-shaped baseplates.